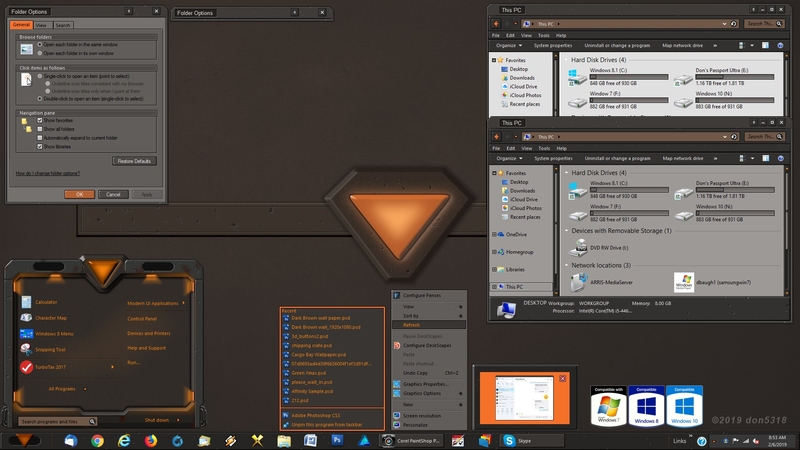 Here's another dark themed skin, "Internal", has sub styles for Win 7, Win 8.1, Win 10, dark/light Explorer background, and a roll up button. I'd like to thank everyone for their support, by buying my skins, and for those that test them for you, thank you one and all. Wallpaper is included in the zip file, if you choose to use it, enjoy! One of your best Don! This is a sweet skin Don! Very sharp! Sorry so late, I forgot it was up. Cutting edge work Don. I don't know how they can get any better. Thanks for your hard work.